I have always known I was quite different to many of those around me. Discovering more about the empath personality type has led me to discover a good understanding of myself, and also my relationships with others and the world that surrounds me. For so many years I felt like an alien on this planet. I often used to say, “I am not of this world.” I didn’t know many people who were like me, who felt things the way I did or who could relate or resonate to things in a similar way to which I did. The most striking thing for me about being an empath is the way I feel the physical, mental and emotional pain of others as though it were my own. This can be and has been emotionally and physically crippling and it has caused me to suffer tremendously. It is often described as being similar to a sponge, absorbing every emotion and piece of energy around me, and then becoming weighted down by it. Learning about the empath personality type helped me greatly, as not only do I now understood myself better, I have also learned how to protect myself and not allow outside toxic energies, emotions or behaviors to affect me negatively. Rather than absorbing all other energies, I now observe them. This prevents me from becoming overwhelmed, exhausted, suffering mentally or physically and being overly emotional. An empath is someone who is highly sensitive to the energy and emotions emanating from people, animals and everything that exists around them. They have the ability to scan other people’s auras and souls and can intuitively pick up on past, present and even future thoughts and feelings and can quite accurately determine another person’s emotional, mental and physical state. The saying “never judge a book by its cover” would ring true for an empath. Never would they trust the outer appearance or deceptive superficial exteriors; they will always sense what goes on behind the masks, if they trust their own judgment. Unfortunately all too often an empath is led to believe that these paranormal type skills do not exist in today’s world and their words are criticised, disbelieved and are told to be wrong. Downplaying an empath’s intuition, will benefit someone who may be trying to manipulate or use trickery, or someone with very little faith that these abilities exists. It is vital that, to thrive, the empath personality type needs to work towards learning to trust their own judgment and intuition so that they can be at one with the inherent superpowers they have been born with. If an empath does not have a good understanding of themselves and how to work with energy rather than pushing against it or absorbing it all, not only can this be emotionally debilitating, it can also result in physical illness with depression, stress and anxiety taking a toll on the body and a very high chance of suffering from the effects of burnout. 1. Feels calmer when alone, and, in relationships, requires distance and regular periods of solitude. 2. When in the company of others an empath struggles to work out whether they are feeling their own emotions or the emotions of those around them. 3. Struggles to remain present as the chaos of emotions around them pushes and pulls on an empath’s own thoughts, feelings and emotions. 4. Often says yes to others without thinking of their own needs. 5. In relationships or friendships, very often puts other people before themselves, as though everyone else’s pleasure and happiness is more important than their own. 6. Relationships can often move too fast and can become intense very quickly as the empath connects on a deep, intimate level very quickly due to the ability to absorb other people’s energy and emotions. 7. An empath will often take full responsibility for how others treat them and for anything that goes wrong in relationships. They have a great amount of compassion and can clearly see other people’s emotional baggage and so they make many excuses for why people behave as they do, and this is very often to the detriment of an empath. 8. Tends to connect with people who are suffering and often wants to heal others or try to make the world a better place for them. 9. Can find themselves taking on and absorbing other people’s problems and being used as a sounding board or dumping ground so that others can offload their emotional baggage. 10. Instinctively knows when someone around them is not being truthful. 11. Sometimes empaths just know things, without having any idea of where they gained the information. When trying to work out the truth from a lie it can seem as though the information has been presented forward so that it can be used to help make a decision. The empath should only trust the information if they are highly skilled at reading themselves and others accurately and if paranoia or other information is not clouding their judgement. 12. An empath’s mind is an inquisitive one and they are constantly searching for answers and theorize and philosophise constantly. 13. An empath who is highly in tune with themselves and skilled at reading others will often be able to pick up on someone else’s thought processes even if they are thousands of miles away. 14. Connects very strongly to the animal kingdom and identifies very easily with the emotional and physical pains that animals go through. 15. Is often most at peace and feeling harmonious when spending time with nature and roaming around the outdoors. 16. Can feel the energy surrounding physical things and will often choose clothing or material purchases based on the energy that has attached to them. 17. Very creative and highly imaginative, writing, art, music, painting, dancing, acting, painting, building and designing are a few of the traits that empaths very often are passionate about. 18. An empath will likely get distracted easily when they are doing things they don’t enjoy and will quickly zone out or day dream when placed in situations where their mind is not stimulated. 19. Can struggle to fully relax in the company of others and really let their hair down and have fun, unless they are extremely comfortable and at ease with those surrounding them. 20. Prefers their living space to be clutter free and minimalistic; chaotic surroundings make for chaotic minds for an empath and they have enough inner sensations happening without cluttering their psyche further. 21. Finds it very difficult to be around people who are egotistical or enjoy putting others down to make themselves look better. Empaths will often come to the defense of those that have been rejected or bullied in any way. 22. Crowded places are emotionally overwhelming and downtime is required after social gatherings. 23. Highly sensitive to sounds, smells, bright lights and the feel of certain fabrics. 24. Regularly suffers with fatigue and can feel drained following interactions with others. 25. Can become shy and withdrawn as a method of self-protection. This can result in empaths becoming introverts as a way of avoiding the emotional and physical pain that often stems from interactions. Other people may see empaths as moody or loners due to the amount of alone or downtime they need. Others may struggle to understand that these things are just part of the personality type and feel comfortable and the most natural ways to exist for an empath. Empaths do like connection, but they need to balance that out by creating a safe space for themselves to exist in alongside it. Supermarkets, bars/clubs, family gatherings and any crowded event can all be energetically overbearing. Frequent downtime or escapism to a garden, bathroom or kitchen will occur to temporarily break away from the intensely high energy that occurs when many people are close together in the same venue..
Empaths may have an addictive personality and can pick up habits such as drinking alcohol, playing online games or excessively indulging in a particular interest as a form of escapism to blot out feeling so much pain. Listening to or watching local or worldwide news can be traumatic as the pain or violence the people or creatures involved experience is often transferred onto the empath as though the pain was theirs. Empaths are free spirits, adventurers, life-seekers, rule breakers, they live outside the box. Often it can seem to others as very unconventional or unorthodox lifestyles. However, these lifestyles often suit an empath perfectly and feel to them the most natural way to live. As empaths learn more about themselves, many of the traits above can become a thing of the past, or a new way of dealing with them is discovered so that they do not have negative side effects. While many people may recognise themselves in the traits above, there will be some who who see a lot of these things as how they used to be before finding ways to combat or work towards understanding areas so that life becomes less painful. The key to thriving as an empath is to recognise each of the traits and then spend time thinking about each one and looking at how it may be negatively impacting or hindering a certain part of life. When we have a good understanding of how a certain characteristic affects us, we can work out ways to turn any trait that may have negative side effects into positive ones. The easiest way to look at the empath type is as though the personality is a blessing and a curse. It is a blessing to have the ability to feel and experience life at such a highly sensitive level, so the joy and love around them will feel like constant electric pulses beating through them. However, the curse is that the lows are felt at an equal intensity. When empaths learn to protect themselves by becoming consciously aware of how they are allowing outside energy to penetrate them, they are then in a position to turn the curses to blessings so that the painful and toxic energies are not absorbed within the psyche/soul. Empaths must be sure to surround themselves with others whose energies vibrate at a similar frequency so that they are not vulnerable and exposed to energy that can cause them harm. Self-protection is vital. I will cover all aspects of self-protection in a follow-up article. Being an empath really is a beautiful way to live and to experience life. Finely tuning our frequency so that we keep our energy levels high and refuse to take on or absorb anything that will harm us is the simplest, harmonious and magically unique way to exist. The Practice of Peaceful Abiding. 5 Ways to take care of yourself if you're an Empath with Dr. Judith Orloff (and Waylon). The Introvert-Extrovert Myth, & How to Deal with being an Empath. The toxic relationship between an empath and a narcissist describe my 20 marriage very well, and like some other people in the comments I also came close to loosing my life because of it. The tragic bit is that I am attracted to narcissists. I’ve had two brief attempts at romance over the last 8 years. I ended one because she was also a narcissist (I was sure the relationship would be destructive), and the other because she was not (I was not attracted). I totally relate to this description with the exception of grocery shopping or other outings not being a big deal. I would point out that the “empath” and INFJ personality type are essentially very similar if you happen to buy into the Myers-Briggs personality type model. It’s an amazing relief to realize you are not alone in a harsh world. 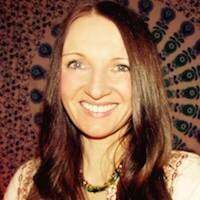 Alex Myles is a qualified yoga and Tibetan meditation teacher, Reiki Master, spiritual coach and also the author of An Empath, a newly published book that explains various aspects of existing as a highly sensitive person. The book focuses on managing emotions, energy and relationships, particularly the toxic ones that many empaths are drawn into. Her greatest loves are books, poetry, writing and philosophy. She is a curious, inquisitive, deep thinking, intensely feeling, otherworldly intuitive being who lives for signs, synchronicities and serendipities. Inspired and influenced by Carl Jung, Nikola Tesla, Anaïs Nin and Paulo Coelho, she has a deep yearning to discover many of the answers that seem to have been hidden or forgotten in today’s world. Alex’s bestselling book, An Empath, is on sale now for only $1.99! Connect with her on Facebook and join Alex’s Facebook group for empaths and highly sensitive people.